We just launched a major upgrade to directions on Google Maps! 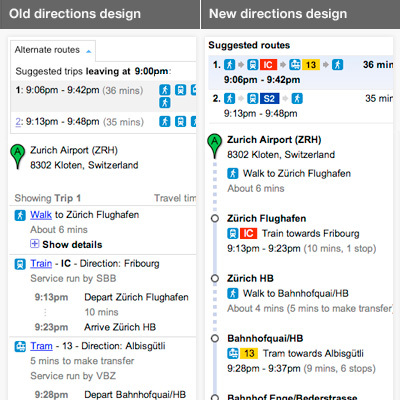 It’s now simpler than ever to switch transport modes, change the time/date of your trip, get a high-level overview comparing different routes, and view details of a single trip at-a-glance. More details and examples are in the blog post that I wrote for the Google Lat Long blog.